Some of the weirdest and least-understood landscapes on Mars are on the floor of the deep Hellas impact basin. 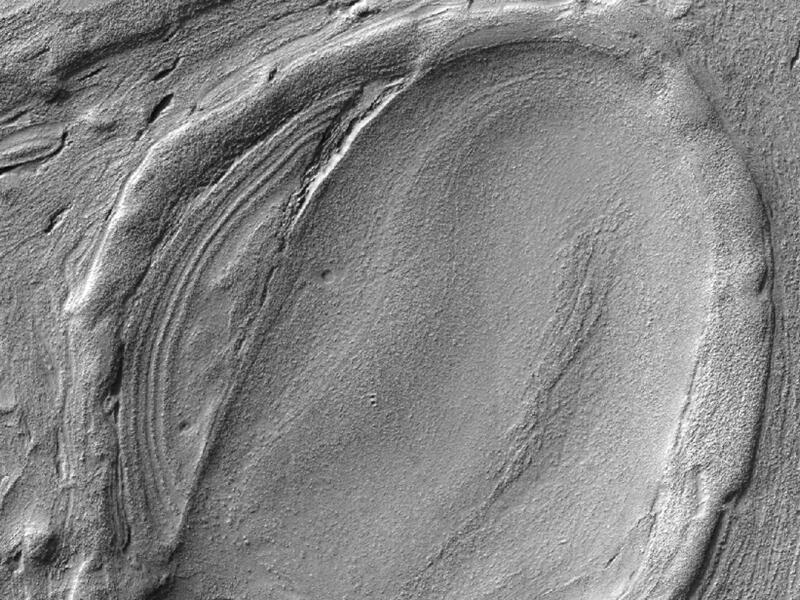 This image was acquired in northwest Hellas where depths are more than 6 kilometers below the reference (or roughly the average) altitude for Mars. 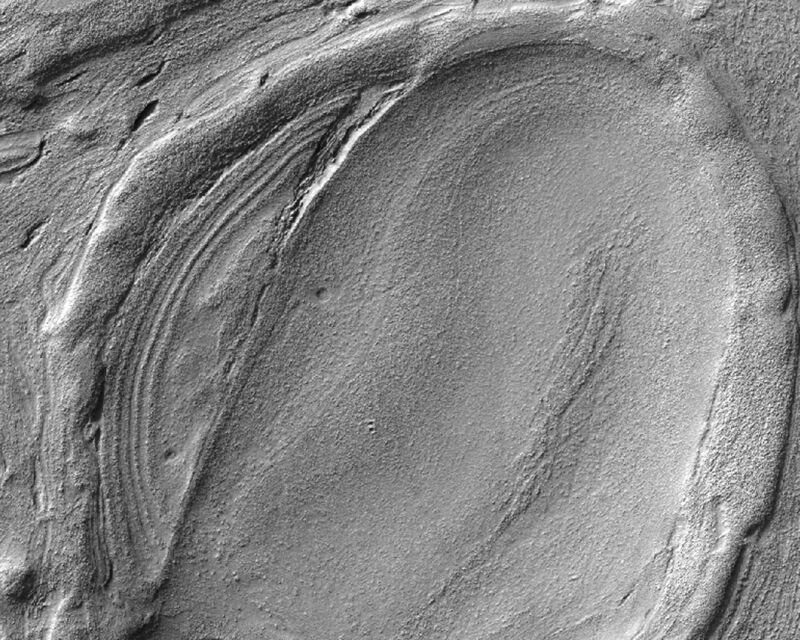 There are what look like impact craters but are elongated, as if stretched in a viscous manner (like in a lava lamp). 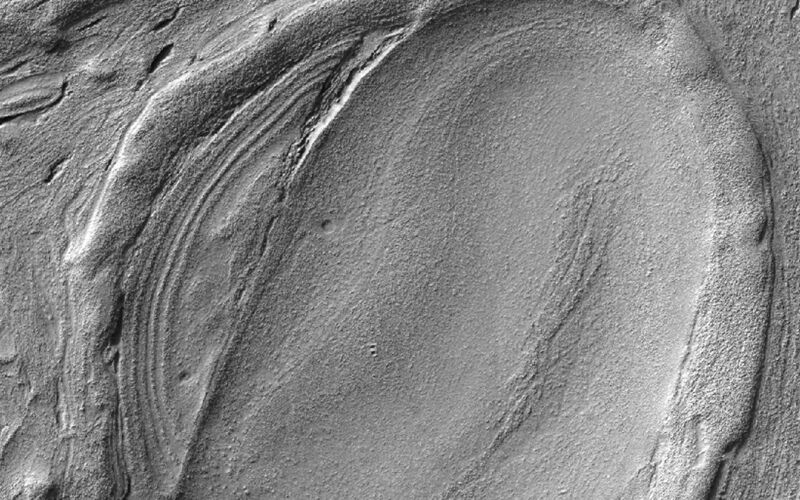 Some of the flowing landforms (Figure 1) are similar to those elsewhere in the middle latitudes of Mars, where the Shallow Radar (SHARAD) experiment on MRO has detected ice, but no ice detection has been reported here. 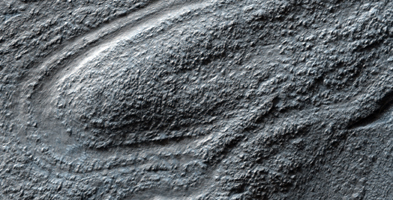 The floor of Hellas is relatively poorly mapped because it is often obscured by dust and haze in the atmosphere.